Neelu is an experienced global Computer science professional with over 14 years of experience. 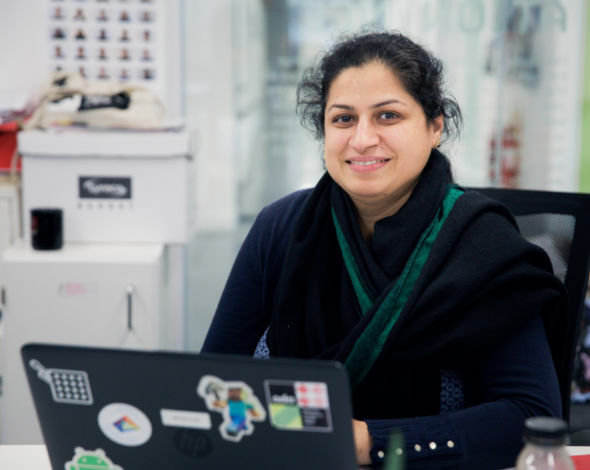 She spent a decade in software development and large scale engineering management spread across the UK, Germany and India working with leading companies like Hughes, Lucent technologies and L&T Infotech, as well as start-ups in mobile telephony space. She finished her computer science engineering with Honors in 1999, pursued an executive program in management from India’s premier institution, and finished a Post-Graduation in computer sciences education from King’s college London. As a computer science teacher at Ada, she now focuses on sharing her experience of being a professional coder and manager with young students to open their minds to new possibilities. She is keen to make technology tools accessible to kids across divides, be it gender, background or capability and loves creating new teaching interactions on these lines.